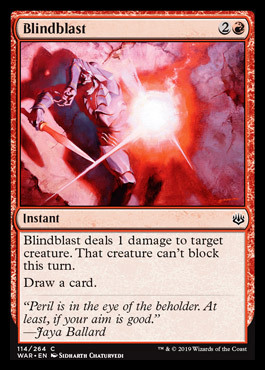 Ability Text: Blindblast deals 1 damage to target creature. That creature can't block this turn. Draw a card.